Commercial Insulation Services | NYCO, Inc.
NYCO provides value-added commercial insulation services that allow you to reduce energy costs, emissions, and noise levels while enhancing process performance and personnel safety. 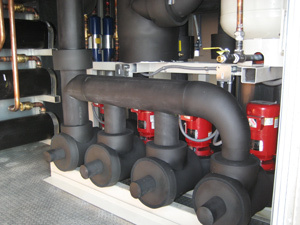 We offer a wide variety of commercial insulation services for various applications. Plumbing piping insulation services utilize both heat and cold resistant insulation materials to cover all varieties of piping attached to plumbing fixtures. Duct insulation is available for both HVAC duct and Fire rated grease duct. In addition, cryogenic piping insulation, plumbing equipment insulation and sound attenuation services are also available.